With computer-controlled precision, repeatable fence settings stored in memory and a pre-installed selection of apps, this first-ever electronic router fence ushers the humble router table into the ''smart'' era. Woodworkers used to tapping and bumping their fences to make adjustments will appreciate the ease and simplicity of tapping a few buttons to dial in a setting. Simply zero out the fence, and every adjustment afterwards is accomplished with the touch-screen interface (#58808, sold separately). Three ''apps'' are included for box joints, dadoes, half-blind dovetails, plus step-and-repeat functions such as those for fluted columns and beadboard. 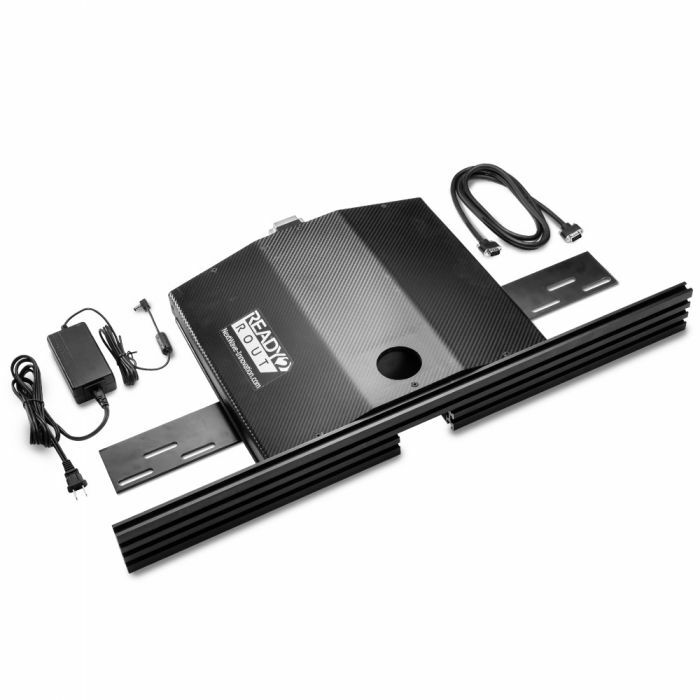 The Ready2Rout Fence may also be used with the optional Ready2Lift Router Lift. Since the required controller (#58808, sold separately) controls both the fence and lift, there is no need to have a controller on both units. The fence works without a computer attached, and a USB port on the back allows you to easily install additional apps and update software.